Working from her Hawke’s Bay studio as a multimedia painter and sculptor, Ros Stewart creates bold, colourful and sensual works with dynamic forms and surfaces. With a passion for many different media, Ros works intuitively and in a range of scales. In the 36 years since studying sculpture and painting in Wellington Ros has made art her life. Her interests are varied; inspired by her love of nature, feminine sensuality, philosophy and identity as a New Zealander. Ros aspires to create expressive works rich with feeling that speak to the viewer’s deeper self. 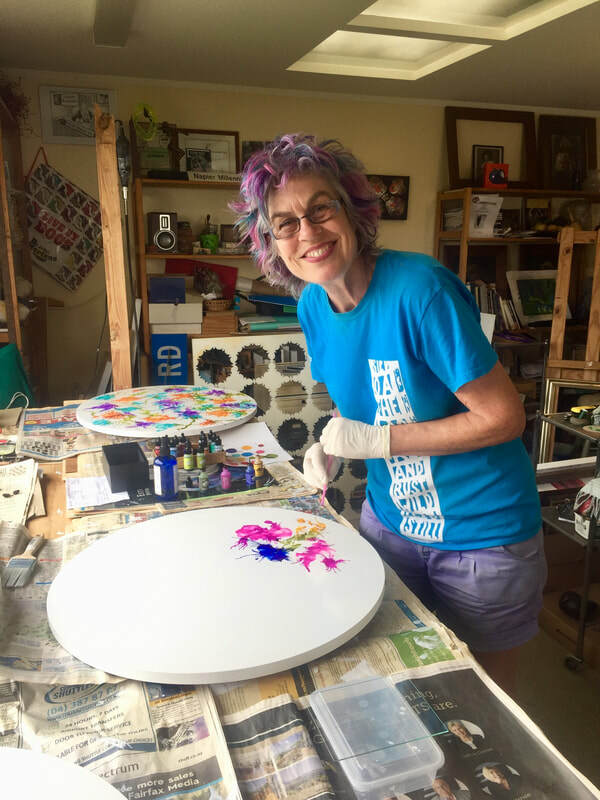 A passionate champion of the HB art sector has seen Ros excel in leading several Hawke’s Bay Arts Councils and Festivals, while still making her own art and raising an active family. Today Ros continues to challenge herself with her own projects and creative endeavours that have led her to be invited to represent New Zealand at international art collaborations. New Zealand, UK, Netherlands, Sweden, Germany, Costa Rica, Canada, USA and Australia.